There once was a1856 Monarch Corless Steam Engine manufactured by the H.H. Strait Company, far, far away in Kansas City. The steam engine made its home in Bastrop County. For many years, the engine had worked long and hard first at a saw mill and then at a cotton mill. A young boy, the son of a sharecropper, would look at it in awe when he rode with his daddy to gin their cotton. It was 1947 when he fell in love with it. It must have looked like a giant to the little boy. That boy grew up to be Clyde Clardy. The engine grew old. No longer able to serve the mill, the steam engine was about to be demolished. Clyde, who later became the owner of the land where the Lost Pines Art Center sits today, stepped in and offered to save the engine from sure destruction. Having kept the engine from the scrap pile, he brought it to Bastrop and moved it wherever he went. Clyde saw something in the engine that others had failed to see. He wanted to honor the steam engine in some way. Then, the phone rang. It was Jay Leno, the late night host, renown car collector, and steam engine enthusiast. He made an offer, a very good one, to buy the 1856 Monarch Corless Steam Engine. Apparently, Clyde Clardy wasn’t the only one who saw something in that engine! Clyde thought long and hard. 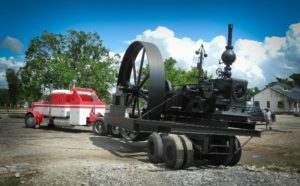 On June 1st, the steam engine that could, rolled into the parking lot of the Lost Pines Art Center. It awaits its permanent display pad in the Reflective Sculpture Garden. The steam engine is the first of many sculptures that will fill the space on the north side of the Lost Pines Art Center, located at 1204 Chestnut Street. Come by and take a sneak peek. Our steam engine will have a place of honor in the sculpture garden, at the art center, in Bastrop County, just as Clyde intended. 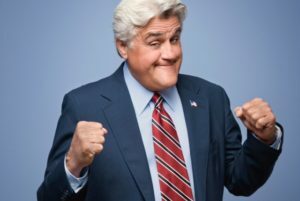 But no hard feelings, Jay Leno will be invited to the dedication. What a terrific looking machine! I’m glad you posted the history behind it and know it will be a great addition to our Art Center.